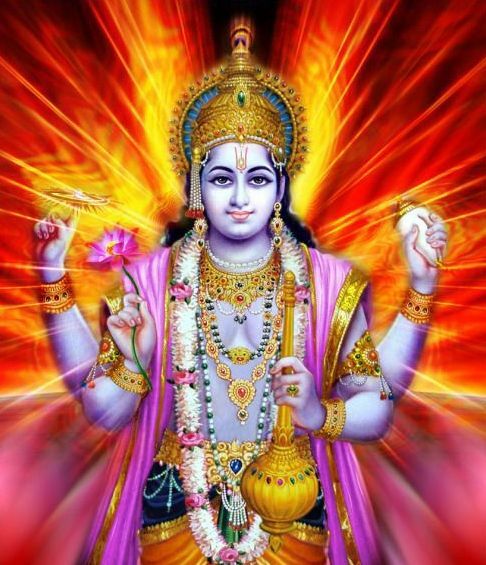 Ekadasi, the 11th lunar day of the vedic calendar, is a day dedicated to the worship of Lord Vishnu, the preserver. According to Hari Bhakti Vilas it is said that “eka dasyam na bhunjita vratam etad dhih vaisnavam”. On this day Lord Vishnu is pleased when devotees undertake fasting and spend their time in praying to him. 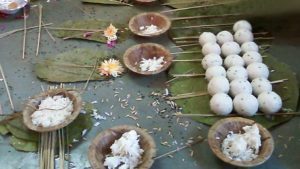 Devotees between the age group of 8 to 80 years are supposed to undertake fasting on Ekadasi days, which occurs twice a month. Chanting of the Lord names during this period is said to be very auspicious. It is a day for both physical and mental cleansing. Devotees strictly following the ritual don’t wven drink water. Those who are unable to undertake a full day fasting opt for a single meal a day. Rice is to be strictly avoided on these days. Fasting is generally begun on the day of Dasami, the day before Ekadasi and concludes once Dwadasi beguns, the day after Ekadasi. 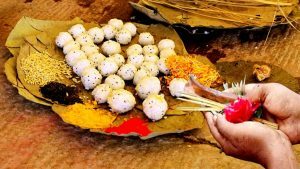 The fasting is completed after taking bath followed by a visit to a Vishnu temple (including avatara of Lord Vishnu) or by a simple prayer at home followed by an offering to the deity. There is also a scientific reason attached to the fasting. According to the Nobel prize for medicine Dr. Yoshinori Ohsumi on his research on autophagy meaning “self-eat”, the human body eats its own impaired cells and unused proteins. This natural process known as Autophagy, which is a natural process, occurs in cases of famishment. The failure of autophagy is one of the most significant reasons for accretion of impaired cells which ultimately leads to various ailments in the body. Autophagy aids in preventing or fighting cancer and plays an important role in destroying cells infected by bacteria and viruses. 2 days in a month spent in prayer and fasting acts as a tonic for the mind and ensures that the body would heal and revitalize itself.